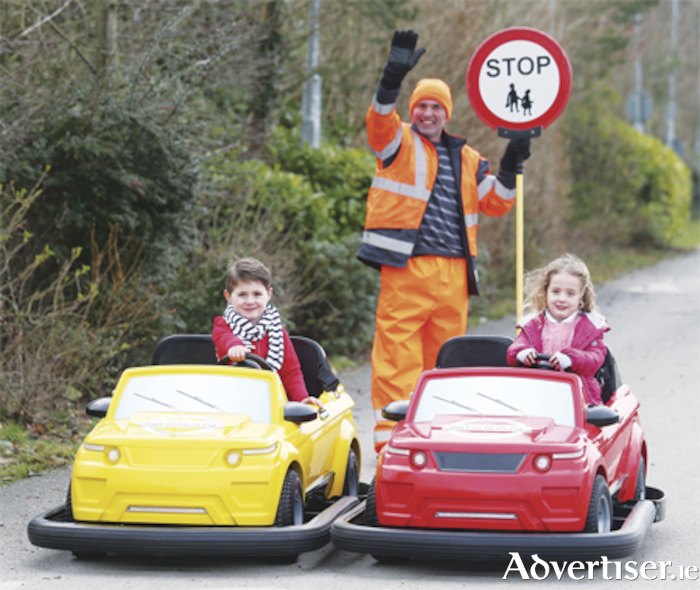 Advertiser.ie - Ireland’s first driving school for children! Tayto Park, County Meath, and Nissan have joined forces to open Ireland’s first ever driving school for children. The Nissan Driving School at Tayto Park gives children the chance to learn the rules of the road, and to test their driving skills on a purpose built traffic course, before leaving with their own 'driving licence'. The new 1,000m2 track opened at Tayto Park in Ashbourne, County Meath, on Saturday, March 24. The easy drive track will accommodate 20 miniature battery operated Nissan cars at one time, with the new attraction set to give young drivers a real experience of what it is like to take to the road. All drivers arriving at the Nissan Driving School at Tayto Park will enjoy a short video demonstration at the new attraction’s Learning Theatre, where they will be thought the rules of the road before negotiating the traffic course. Young drivers who complete the course and prove to their parents that they have what it takes to make the move from the back seat to the front seat can pick up their 'driving licence'. Founder of Tayto Park, Raymond Coyle said: “Here at Tayto Park we’re always looking for innovative and creative ways to enhance the experience for families at our theme park and zoo. The Nissan Driving School at Tayto Park will be the first of its kind in Ireland of which I’m sure will be very popular among our younger visitors this season. I’m delighted to welcome Nissan to Tayto Park as this marks a milestone as the first sponsored attraction at the park." CEO of Nissan Ireland, James McCarthy said: “Innovation and excitement for everyone is at the heart of what we do at Nissan. We are delighted to bring that thinking to our sponsorship of the new Nissan Driving School at Tayto Park. The thousands of children who will enjoy this new family attraction are the EV drivers of tomorrow. This season, Tayto Park will recruit 500 full- and part-time staff across the parks many attractions, retail outlets, food and beverage and facilities.